PLDT recently announced its latest streaming device — the Home TVolution Lite. The device is powered by Roku, and turns your TV into a digital entertainment system. The PLDT Home TVolution Lite is available for PHP99 per month as an add-on service to existing PLDT Home Fibr Plans. The device is perfect for families who wants to “cut the chord” from regular cable TV and instead stream shows from digital channels such as Netflix, iflix , Fox+, and YouTube. “The new PLDT Home TVolution Lite powered by Roku bolsters our commitment to Filipino families, who now have more reason to bond at home with convenient access to amazing video content from our world-leading partners like Netflix, Cignal, iflix, Fox+ and YouTube,” said Oscar A. Reyes, Jr., Senior Vice President and Head of Consumer Business Market Development for PLDT and Smart. To use the device, just plug it to your TV’s HDMI port and follow the on-screen instructions on how to connect it to your Wi-Fi network. Once it’s activated, you can start streaming your shows. 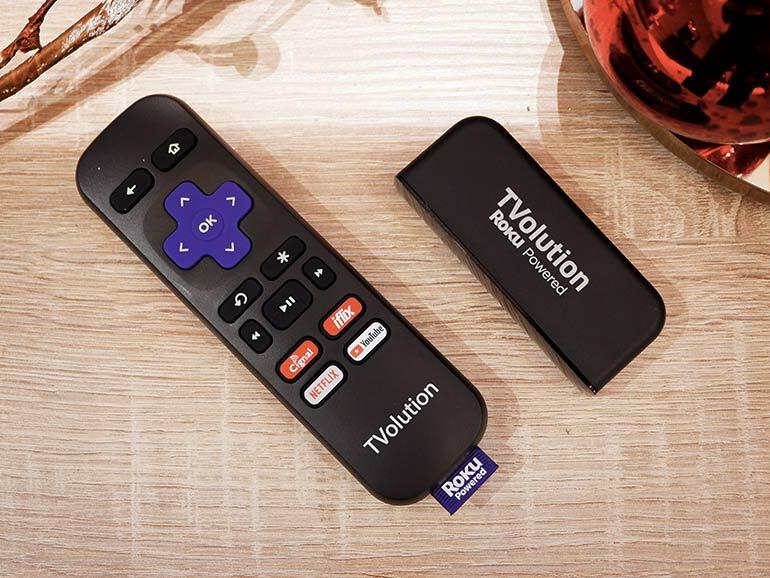 For added convenience, the Home TVolution Lite comes with a handy remote control, complete with dedicated buttons for Cignal, iflix, YouTube, and Netflix. Existing PLDT Home Fibr subscribers can avail of the Home TVolution Lite by adding PHP99 per month on top of their regular subscription. For more information, you may visit their product page HERE.